Bitcoin is one of the most popular virtual currencies in existence. The concept of bitcoins was created in 2009, however, the idea behind the virtual currency only received real mainstream attention in April 2013 when the exchange rate of a bitcoin reached extremely large values. Due to the rising popularity of this virtual currency, some forex brokers have announced that they might in the future introduce the possibility to trade forex with bitcoins instead of traditional currency. You don’t know what bitcoins are or how to acquire then? Or how bitcoin forex trading works? – This article will clear up everything for you. Bitcoins are a form of virtual currency that were initially conceived in 2009 supposedly by a Japanese computer programmer. The idea behind bitcoins is to allow people to purchase and sell things without having to use real life currencies such as USD, EUR and others. At this moment people are already able to purchase different kinds of services online using bitcoins instead of traditional currency. Also, a lot of offline venues have already adopted this concept. For example, in some places in the US it’s also possible to pay rent with bitcoins. So in short, bitcoins are an alternative to traditional currency. They function the same as normal currency, however, they are not administered by any government or state-owned organization. – If fact, the whole idea behind bitcoins is to have a currency that’s not being influenced by any national government. Bitcoins are created by computers worldwide solving extremely complicated mathematical problems. This process is called bitcoin mining. Anyone with a computer can become a bitcoin minder. Once a computer finishes a sting of mathematical problems, it will become eligible to receive a new block of 50 bitcoins. However, a single computer alone may even require up to 1+ year in order to be able to mine a single block of bitcoins. 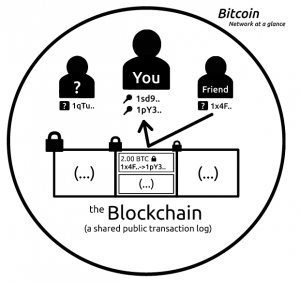 As such, complex networks of many interlinked computers conduct most bitcoin mining these days. How can I acquire bitcoins? Since mining bitcoins is almost impossible for standalone persons, they will have to be acquired though different means. One of the possible ways to acquire bitcoins is to sell services or products and require bitcoins as payment. However, bitcoins can also be acquired by exchanging them with traditional money. At this moment there are many bitcoin exchanges on the internet that allow people to buy or sell bitcoins with real money. Based on the supply and demand, a bitcoin has a certain exchange rate in USD. Due to the rapid rise of the popularity of bitcoins as an alternative currency, some forex brokers have already hinted that they might introduce trading using bitcoins in the future. The most high-profile forex company that announced that it might introduce this possibility was renowned social forex network eToro. In the near future, eToro might decide to allow tarders to execute trades using bitcoins instead of traditional currency. Trading with bitcoins will work exactly the same as with any other currency such as USD, EUR and others that are being accepted by the company at this moment. A broker that already offers bitcoin forex trading is Bit4X. This broker allows traders to trade on various assets such as gold, silver and more using the popular MetaTrader 4 online trading platform. As explained above, trading in bitcoins works exactly the same as trading with traditional currency. Recently, the start-up Coinsetter also announced that it secured a funding of $500,000 for the development of a new bitcoin trading platform. This is also a sign that hinds toward the rising popularity of this market. Bitcoin currency trading has a lot of advantages over traditional trading. The most important advantage of this trading type is anonymity. Trading with bitcoins allows traders to hide the fact that they deposited money at a forex broker. Traders will only have to load their bitcoin valets with bitcoins and make a bitcoin deposit at a forex broker that offers virtual forex trading. This way traders won’t have to actually transfer traditional money to a forex broker. As such, bank receipts and credit card statements will never show that traders conducted any transaction with a forex broker. Is it safe to trade with bitcoins? The fact that many major merchants including leading forex brokers decided to accept bitcoins means that bitcoins have become mainstream. This in turn means that it’s extremely unlikely that bitcoins will go bust anytime in the near future. However, at this moment the bitcoin market is still volatile. For example, in April 2013 the exchange rate of a bitcoin increased form just ~$50 to $260 in only a week. A day later it fell to around $170. As such, some people believe that the current bitcoin exchange market is a speculative bubble. However, this is disputed by an increasing number of experts. Most experts believe that the exchange rate of bitcoins will finally stabilize at a certain level in the near future. When this happens, bitcoins will finally become a real alternative currency to traditional money.